St. Gregory of Nyssa (335-394), in his work On the Soul and Resurrection (St. Vladmir’s Seminary Press, 1993), presents a very stimulating dialogue between two characters: Gregory and his sister Macrina. Through Macrina he argues that the existence of virtue and moral judgment wouldn’t be possible if the organizing principle of the soul was evil. He also argues that rational foresight wouldn’t be possible if the organizing principle of the soul was chance. Since virtue, moral judgment, and rational judgment exist, the soul’s organizing principle is a good designer and the soul is good as well. Let’s see why. 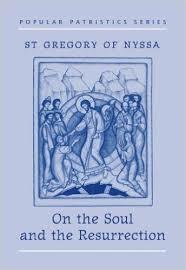 Gregory claims “the soul is an essence which has a beginning; it is a living and intellectual essence which by itself gives to the organic and sensory body the power of life and reception of sense-impressions as long as the nature which can receive these maintains its existence” (38). If our souls were brought into being by evil then our souls would be evil by nature as well. Gregory grounds this conditional in the observation that “we expect the fruit to be produced in accordance with the nature of the seed” (95). No one, according to Gregory, thinks good grows from evil or vice versa. So virtue would be impossible to develop from a completely evil soul. After all, if men were evil by nature “they could not even begin to desire virtue, because it would be outside their nature” (96). And this would, in turn, make moral judgments about human beings meaningless: it makes no sense to praise or condemn anyone if virtue is simply “outside their nature”. Indeed, it would be as absurd as asking animals to speak (96). But aren’t we capable of becoming virtuous to an extent? And aren’t we justified in making moral judgments about people and their actions? It certainly seems so. But then we would need to believe that the organizing principle of our soul is good not evil. Moreover, the soul itself would be of a good nature rather than an evil one. Gregory provides another closely related application of the seed/fruit analogy: any chance origination must give rise to chance events. Thus if the ground of existence is chance then “an automatic and fortuitous impulse will govern all of life, if no providence pervades what exists” (95). This lack of providence entails that “rational foresight will be altogether useless” since such foresight presupposes the world is not fortuitous but intelligible. Moreover, since virtuous development is in part a function of rational, free choice, any chance origination will reveal that “virtue will have no benefit, and remaining unacquainted with evil will be of no value” (95). But since virtue does have value, it appears to be the case that we did not originate by chance but rather by purpose. And, if the seed/fruit analogy holds, our nature as reasoning beings must be purposeful as well. Thus Gregory infers, from certain moral and rational traits we possess, a good designer or God. 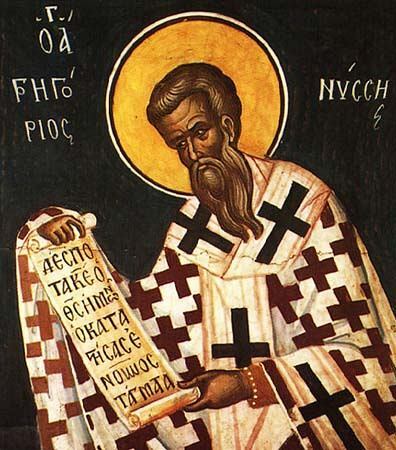 And this God insures that our nature is made in His image: “Thus we can say both that the constitution of the soul is from God and (since we do not conceive of any evil in connection with the Divine) that the soul is free from the necessity of evil” (96). We can question the existence of the soul, especially as Gregory characterizes it above, as well as the notion that the soul has an origin. We can also question his seed/fruit analogy and ask whether, when it comes to humans and/or God, the analogy allows us to draw any highly probable inferences. For it would seem that fruit emerging from a seed is an amoral, arational, and determined process whereas human actions can be moral, rational, and free. Could it be that free will allows one to produce fruit not determined by the seed? If evil cannot come from good, and we are good by nature, how can there be evil people or actions at all? Well, Gregory claims that evil is a privation, a lack, of actualizing virtue (85). Evil is not a thing that grows from something good; rather, it is just a word that denotes the absence of certain virtues from someone’s character – virtues that can be developed but have not been developed. This failure to develop certain virtues is grounded in the freedom of the will (85). But is this privation theory of evil convincing? Couldn’t it be that evil is more than just a lack of virtue? Couldn’t it be a positively existing force that actively defies the good? And if evil is an active power then perhaps there are seeds with potentials for both good and evil. Could such seeds be our seeds? I think the privation theory of evil can deal with these objections. But they are at least important to ask. Moving on, let’s assume a soul with the potential for virtue cannot come about through evil and chance. Can we really infer from this that it came about through God’s hand? Why not many good hands all of which are not God? Well, Gregory argues that the “wonders” (33) of the universe allow us to infer the existence of one God. He writes: “The swift revolution of the celestial sphere, the reverse movement of the inner orbits, the occultations and conjunctions, and the harmonious oppositions of the stars: when we see all these with the intellectual eye of the soul, are we not taught plainly from our observations that a divine Power, appearing skillful and wise in the universe and permeating everything, fits the parts together with the whole and fulfills the whole in the parts? It maintains everything by one power, remaining in Itself and revolving around Itself” (34). This macrocosm of the universe is reflected in the microcosm of our soul: “It is said by the wise that the human being is a kind of small cosmos, containing in himself the same elements with which the whole is built up” (34). Thus “when we look at the cosmos in ourselves, we have found a good place to start conjecturing about what is hidden by what appears. By ‘hidden’ I mean that which escapes the observation of the senses because in itself it can be known only by the intellect and not by sight” (34). So we can, through intellectual insight that goes beyond sensation, know (1) that there is one God via the unity, purpose, and beauty of the outer universe and (2) one soul via the unity, purpose, and beauty of our inner universe. This is an elegant account to be sure. But aren’t we also “taught plainly” that the world is at least partially incoherent, meaningless, chaotic, evil, and absurd? And if so, can we really conjecture one good unifier? 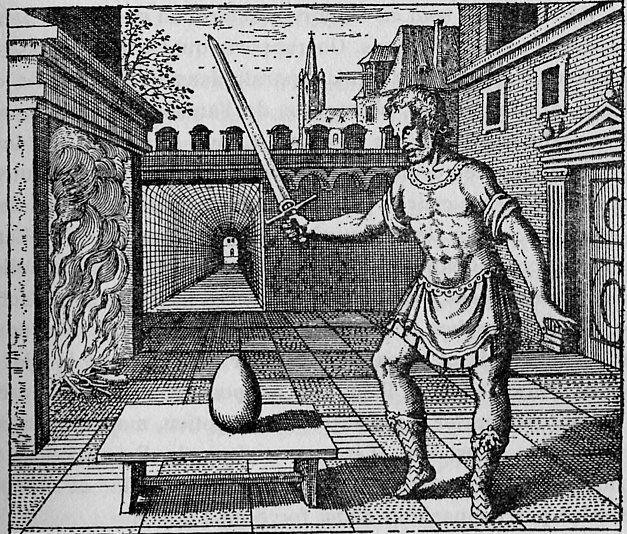 In alchemical lore, the philosophical egg represents a domain in which diverse materials undergo a fusion into something new, the philosopher’s stone, which can help one become wise. Heraclitus said: “Lovers of wisdom should be enquirers into many things”. My weekly blog, full of long and short posts, is committed to this diversity and offers a domain in which various ideas come together in illuminating and often puzzling ways: they are like philosophical eggs. Cracking them should bring you some surprises and, hopefully, some nourishing wisdom. 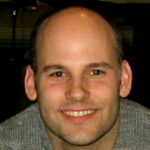 My name is Dwight Goodyear and I am a philosopher who loves to teach. 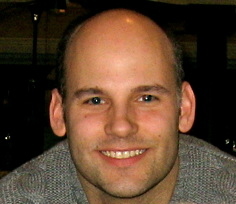 I am associate professor of philosophy at SUNY Westchester Community College in New York. I teach a variety of courses every year including logic, ethics, ancient/medieval phil., modern phil., phil. of art, and phil. of love. I received the SUNY Chancellor’s Award for Excellence in Teaching in 2008, the NISOD Excellence Award for Teaching in 2009, and the WCC Foundation Award for Scholarship in 2016. I received my Masters and Ph.D. from the New School for Social Research in NYC. My main areas of interest are aesthetics, American pragmatism, existentialism, and metaphysics. I am also a musician who composes, performs, and records experimental works for solo piano and piano with small ensemble. I seek to combine Western notions of song structure with Japanese and Chinese music and aesthetics. I have five recordings available on iTunes, Amazon, CD Baby, and youtube. My CDBaby website is accessible at the top of this page. In accessing this site, you agree that any downloading of content is for non-commercial reference only. No part of this web site may be reproduced or transmitted in any form or by any means, electronic, mechanical, photocopying, recording or otherwise, without prior permission of Dwight Goodyear. PHILOSOPHICAL EGGS © 2019. All Rights Reserved.